I'm a big fan of Halo. To the point where I even wrote fanfiction as a teenager about it. It's been part of my life for many years now. 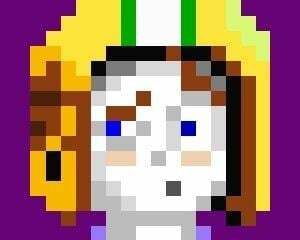 However, for a myriad of reasons, I have not had an XBox One this generation until a couple of weeks ago. Ultimately, this means that I've played very little Halo in the last few years. But this year I used my birthday money to buy an XBone. It came with a free trial of Game Pass. This led me to download The Master Chief Collection. I began playing Halo: Combat Evolved yesterday. I played through the first three levels. I was really awestruck by Halo. No, not that Halo. I mean, Halo. The game's unfortunately titled second level (seriously, why is it called this?). I'd like to share a few thoughts on why this level is so great. There is really only way for you to go. You'll climb a gently sloped hill and come to a narrow canyon. You pass through this quickly and happen upon a large structure, surrounded by Marines. Your job is to defend the building. Five dropships will unload troops (not all at once) and you must eliminate them. It's not terribly difficult. There's lots of ammo and health around if you look for it. After this is complete, a human Pelican craft will drop off a Warthog (the greatest Jeep ever made). You climb aboard and take it for a spin. Again, there's really only one place to go. You find yourself driving down a slope into an artificial tunnel. You'll drive through this and come to a gap. You must have the warthog to jump this gap. You can't do it on your own. This means you absolutely must stay to defend this first structure. There's no getting out of it. This is valuable because it forces you to understand the basic conceit of the level: defending buildings from alien dropships. It also forces you to utilize the warthog. Halo: Combat Evolved was truly revolutionary. Every console-based first-person-shooter since this game has taken direct inspiration from it in a number of ways. But the basic elevator pitch of the game is simple: What if you put vehicles in a first-person-shooter? This was the big innovation they were going for and it worked beautifully. Each pilotable vehicle (of which there are 4: Warthog, Ghost, Banshee, and Scorpion) are extremely easy and intuitive to control. Pretty much anyone can figure them out with ease. They each have nuances that will take practice to master (the Banshee, especially). The physics in the first game didn't use the now-ubiquitous Havok engine. The physics were all made in-house. They're very good, but fairly floaty. This means it's very easy to roll a Warthog if you're not careful. You'll use the Warthog multiple times throughout the rest of the game, including in the climax. So it's great to get an introduction to the vehicle now, in a relatively safe environment. You're unlikely to get the vehicle stuck somewhere. There are also very few places where you can drive one off the level and die (though it will be a valuable lesson if you do). But I digress. Let's get back to Halo. When you make it through to the other side of the tunnel, the level opens up quite a bit. You'll find yourself in a sort of Hub area. As you explore, you'll find the occasional patch of enemies. Eventually you'll learn that there are 3 major staging areas that branch off of this hub. Each is a sort of mini-level in which you must try to protect some marines from alien dropships, just as you did before. All 3 play out differently from each other. The real kicker is that you can play them in any order you choose! I consider this freedom to be the pinnacle of Halo level design (and this time I mean the entire franchise, not just this game or this level, gets confusing huh?). Halo is based on the idea of a sandbox. You are plopped into an area filled with objects to interact with (vehicles, weapons, enemies, etc.). It's up to you to deal with these as you see fit. There is not a certain prescribed way of accomplishing your tasks. Contrast this with Call of Duty 4: Modern Warfare. COD4 is a very linear game. It's meant to be like a rollercoaster. You hop on board and ride out the ride. You have very little, if any, choice in how the ride goes. There are certainly advantages to designing a game in this way. It enables you to create very meticlous set-pieces for story telling. It also has some serious drawbacks. For example, in the above screenshot. 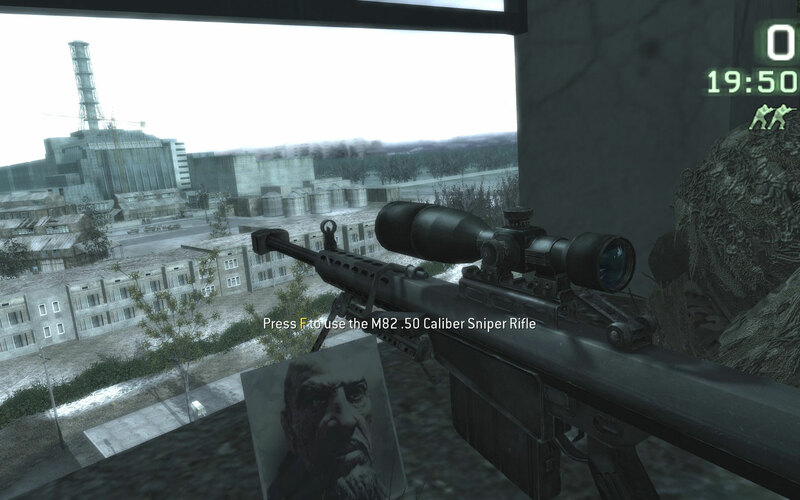 You are tasked with sniping an enemy target in this story flashback. It's actually fairly challenging because the enemy is at immense range, there is wind, and you're far enough way to have to factor in the coriolis effect. You get one shot (do not miss your chance to blow). If you hit your target successfully, your task is complete. But here's the thing. The story plays out exactly the same way no matter where you hit this guy. If you pierce his heart or his brain, it matters not. The story doesn't care. The man lives on to fight another day. Halo isn't like this. For most of the games (at least the ones made by Bungie), you are given the freedom to kill enemies however you see fit (and they typically stay dead when you do so). I absolutely adore the freedom in Halo, and this level does it best of any in the series. This section has marines take refuge in hills above the building. One of them is even equipped with a sniper rifle. You can take the high ground with them and snipe from afar. Or, you can get up close and personal with the enemy. I then go to an area filled with boulders. Marines hide among the rocks. They use them for cover and for a high-ground advantage. Enemy dropships will leave enemies in an open, flat area below and they'll work their way towards the marines. Again, you can climb all over the rocks and use them to your advantage. You can also just hang out in the flat area and work on them with your Warthog. It's even possible to drive your Warthog up on top of the largest boulder, which I find amusing for some reason. I like to end with the last remaining area. It is a series of 3 buildings. The twist here is that the Marines are hiding underground. You can take out all of the enemies on the surface before you go in after them. Or you can run in there as fast as you can and have them follow you out for backup as you fight the enemies above. I really like to snipe as many foes as I can from far away, then go in and grab the marines to have them mop up the stragglers. This is just one approach. There are 6 different orders in which you can tackle these objectives. And there are varying tactics you can use through each of them. Halo (the level) has peerless freedom in the franchise. I would rank it as the very best level the series has to offer. I am very early in my first playthrough of Halo 5, but it has yet to offer anything approaching this level of autonomy. I hope that Halo Infinite takes inspiration from this Halo in its level design. What is your favorite Halo level? 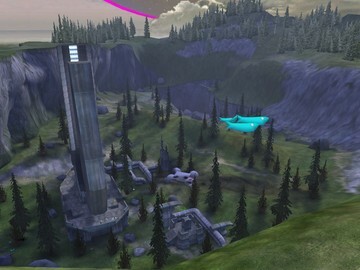 Also, what do you think is the best Halo level, as those 2 don't have to be the same thing?